As it was introduced a week ago (here is the post), we are starting to discuss a subject of the wine gadgets in the Thursday posts. Gadget post might not happen every Thursday – but at least you are about to read one now. I don’t plan to rate gadgets – but I will tell you if I think you should own one. I will tell you what I like and don’t like. I will tell you why I think the gadget useful – or why I think it is not. I don’t really plan to acquire new gadgets just for the purposes of these posts – but this might change in the future. 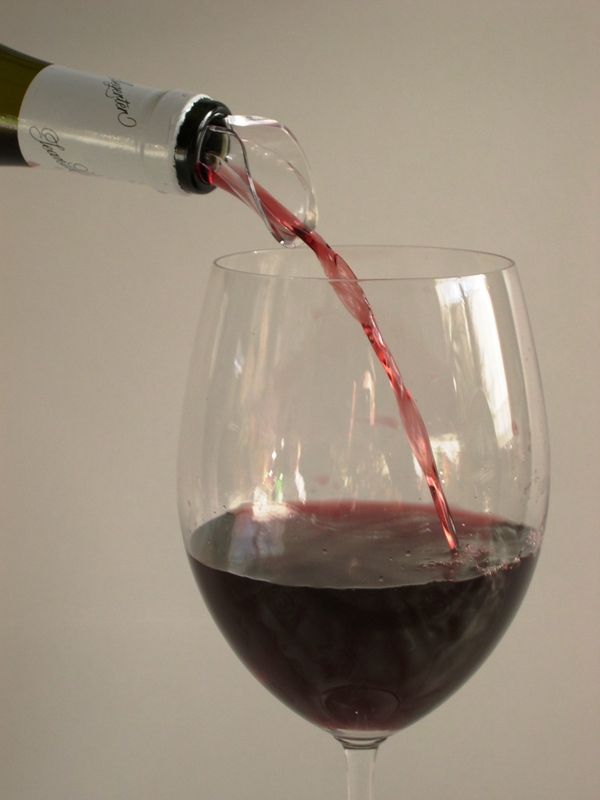 Now, let’s proceed with our first gadget – The Pourer. Cleanliness of the bottle, hands and tablecloth. Using of the pourer prevents the wine from dripping all over the bottle, which subsequently leads to round stains on the tablecloth (especially when you deal with the red wine). Pouring wine. See that drip in the making? Which one do you find more elegant (and I’m not even talking about dripping)? Are all of the pourers the same? Not at all. 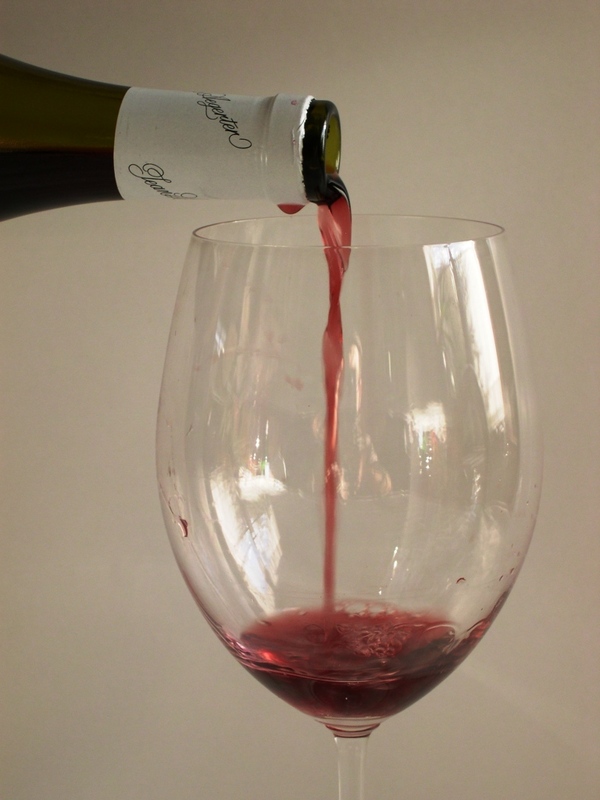 Not all pourers will fit all the bottles (interestingly enough, some of the screwtops offer a particular challenge for pourers as they often have a bit wider neck than the regular bottles). Some of the pourers are more versatile, some of them less. Some allow an easy addition of wine stopper, and some just don’t. Some of them also can work as aerators, but I will reserve that subject for the time when we will talk about aerators. If you look at the five I presented to you above, they are all slightly different. #1, VacuVin Black Wine Server will fit a lot of bottles, will be okay with most of the screwtops and will allow the use of any bottle stoppers. This is definitely an advantage. I find #2, VacuVin Crystal Wine Server the most aesthetically pleasing. However, it might have challenges fitting the screwtops (might simply fall out of some of them), and has probably the shortest lifespan (the bottom cracks). No stopper can be used together with this pourer. When it comes to #3, it doesn’t even look like a pourer, right? But this ring performs an important function of stopping the drips, so as far as I’m concerned, it is pretty much a pourer. And it will fit on majority of the bottles, which is also a plus. Pourer #4 is a flexible pourer – it is more or less a piece of plastic which you can fold and insert into absolute majority of the bottles. Works similar to #2, classic pourer and of course it should be taken out when you will need to recork your bottle. The advantage is that it is quite universal and will fit various bottle types. Pourer #5 is a pourer/stopper combination. It works quite well, but has limitations – it will not fit some of the bottles with the thinner neck. Otherwise it is simple and I think looks pretty good. Bottom line: considering that pourers are inexpensive for the majority of the cases, I would recommend to have variety on hands, so you will be prepared to enjoy bottles of any forms and sizes in style, and without annoying drips. 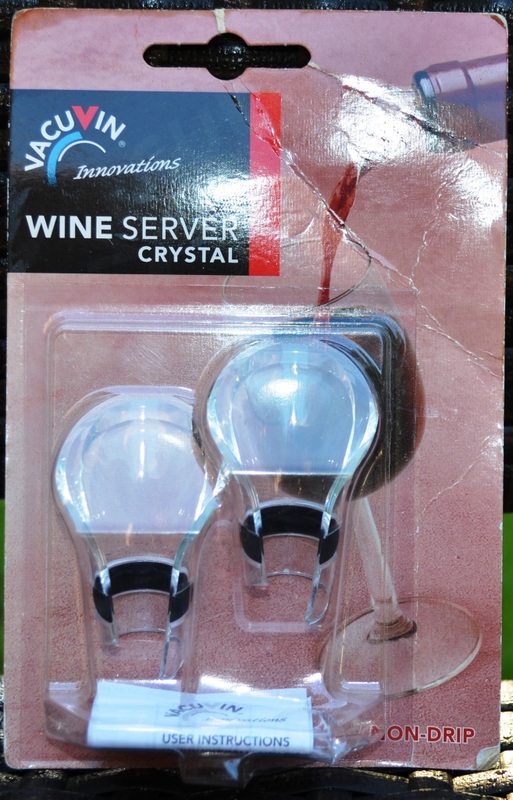 Variety of pourers can be found on many web sites and in catalogs – here is selection which can be found on Amazon: Wine pourers . What do you think? Do you own pourers, and if you do, do you use them? Do you think they make sense or do you think they are just waste of the money? Comment away! And now, to make it even more entertaining, I’m adding a simple poll here – with every new poll I will provide results from the previous one. Let me know if these are good questions or if you want to know something else. Whew, and we are done here. Cheers! My preference is the Haley’s Corker. You may cover this under aerators instead of pourers, but it is so versatile that I always use them. Thanks for the comment! Looks like with this series, I will learn a lot : ) I never heard of “Haley’s Corker” before, and I had a few accessories mentioned by the other readers – this is great! I found a picture of Haley’s Corker on internet – it looks very industrial for me. I believe I saw those being used in the bars, which I think makes a lot of sense (easy to close as needed), but I’m not so sure I would use them at home. I’m not sure I should put it into aerators specifically, but I’m sure that I can easily do another post on pourers and cover entirely different set. Cheers! One more vote for the “no pourer / use-a-napkin” group. I subscribe to the “unless you can’t live without it, don’t buy it” philosophy. I don’t deny the aesthetics and usefulness – the crystal does look classy, but I know that I won’t remember to use it until I am standing up, bottle in hand pouring out the wine. But then I agree that this is a matter of habit. I always loved the aluminum coated pourers that are sold in Germany. They are flat discs, and then rolled up, put in the bottle. Serving the same purpose as the plastic pourer you showed. Just a tad more stylish. I have yet to remember to buy some though when I am back in Germany. Yes, I have seen those too. They are easy to use and look nice. I think you can get them on Amazon. I love my drop stop pourers (same design as those mentioned by Oliver)! So simple a design and yet so effective!